VIDEO: WILL Leather Goods "Making of the Official Bag of the 2011 Tribeca Film Festival"
New York City's famed Tribeca Film Festival is here once again starting on April 20th and ending on May 1, 2011. The Tribeca Film Festival always means big names and even bigger moments (last year I sang "You're So Vain" on stage with THE Carly Simon)! 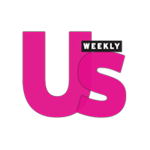 This year Will Leather Goods will be the official bags of the Tribeca Film Festival and will be distributed to actors, filmmakers and industry insiders making them the instant "it" bag of the next two weeks. company as Billy’s Belts on Venice Beach to support my family during the ’81 SAG strike when I was an actor in Los Angeles. It has expanded globally as Will Leather Goods and every seasonal collection carries a cinematic quality that women and men love to work into their functional wardrobe," says Adler. Above: The official Will Leather Goods bag for the 2011 Tribeca Film Festival in NYC. In addition, Will Leather Goods has created a limited edition TFFxWILL version of their popular canvas Carry All Bags. These Carry All bags are branded with the TFF logo in various colors on one side and the WILL logo on the other. These limited edition bags will be given at select TFF special events and to all the amazing volunteers of the festival. Will Leather Goods made a video that was filmed and directed by San Francisco filmmaker Sean Desmond (Tenderloin Project). 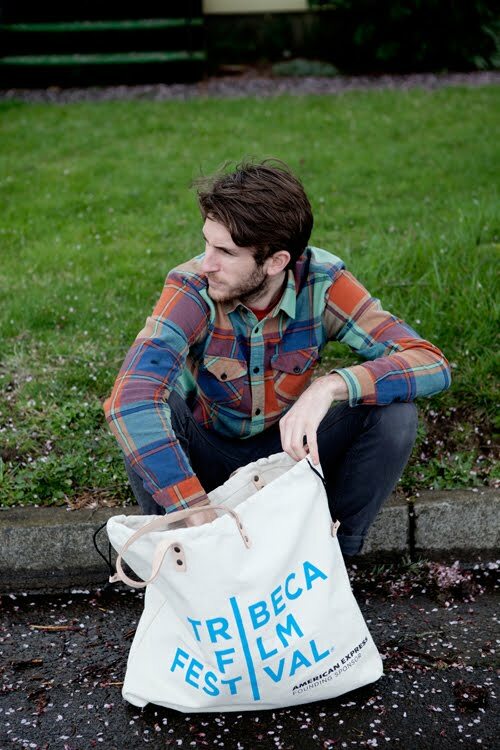 This film is a behind scene look at the design and production behind WILL Leather Good's exclusive tote bag designed for the 2011 Tribeca Film Festival. Filmed on location in El Paso, Texas (YAY TEXAS), the mini-documentary was produced as a testament to a long lost art of handcrafted goods in today's modern world. Be sure to check out the video below! 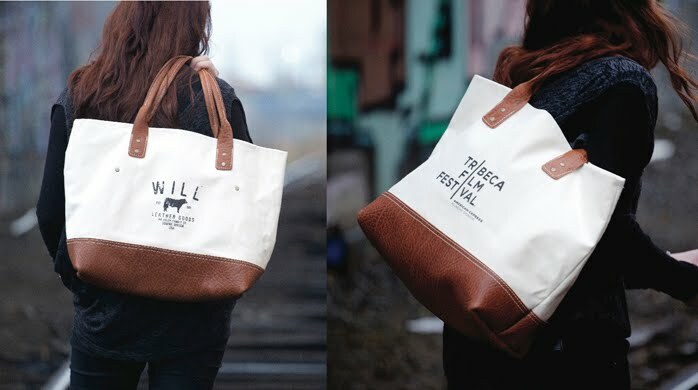 Will x Tribeca Film Festival from Will Leather Goods on Vimeo. Will Leather Goods will showcase highlights of their main collection to filmmakers and the industry on-site at the TFF Filmmaker/Industry Lounge Hosted by the Doha Film Institute in Chelsea. For more information about Will Leather Products and the official bags for the 2011Tribeca Film Festival click here.